There's no getting around the fact that Google Daydream has stolen some of its thunder away, but Cardboard is still a great universal entry point into virtual reality. It's still the most affordable and universal way to get your VR hit. 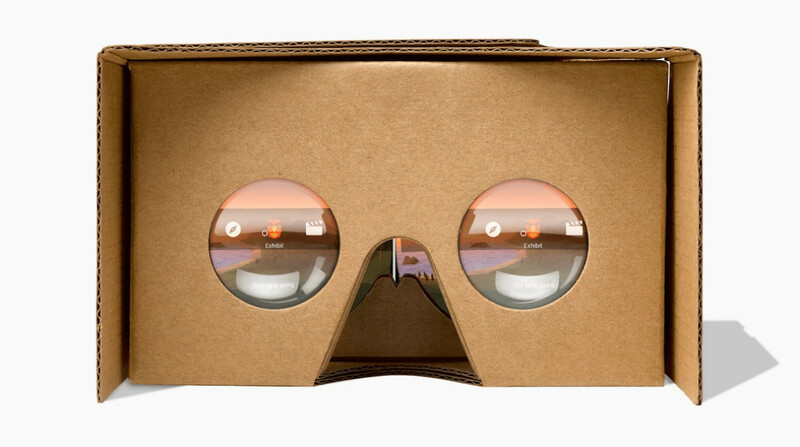 Cardboard is a low-cost DIY virtual reality headset that anyone can build, with a software platform that makes it incredibly easy for app developers to add VR support to their creations. Google sells its own headset that works with iPhones and Android phones, but there are plenty of mobile VR headsets you can pick up, all for decent prices. Just look out for the Works with Cardboard badge. Here's our pick of the best VR-enabled apps and games you can find in the Google Play Store and the App Store right now. One of the great things about VR is that it creates virtual spaces where you can experience things together with your friends. CINEVR takes that idea and puts you in the middle of a movie theater. You and up to four friends can gather together to watch videos in a giant virtual movie theater. There's even ambient lighting and spatial audio. Plus, you and your friends can chat and react during the movie - no need to worry about ruining the experience for everyone else. One of the early demos for VR, especially Cardboard and Daydream, was the animated tale of a cute bunny meeting aliens for the first time. The short was directed by Eric Darnell, the director of the Madagascar films, and he and his studio Baobab have been cranking out new shorts for a while now. You can experience them all in Baobab's app. Google's Expeditions is a fantastic virtual reality field trip app that is now open to everyone, not just teachers taking a class of kids on a VR learning adventure. And now there's over 600 field trips to choose from. The app will automatically buddy groups together when you're on the same Wi-Fi network, and you'll be able to go the African plains, inside the ISS, to Jupiter and more. As the leader, you're given information to relay and the ability to point things out within the app. As the adventurer, you can just sit back and enjoy the show. Also on Daydream. Just because you don't have a fancy, expensive headset, doesn't mean you can't hang out in virtual social networks. vTime is totally cross platform so you can interact with friends using different hardware (including phones via the Magic Window feature). You can share regular and 360-degree images or just customize your avatar and start chatting in one of 20 VR environments, including armchairs in outer space. It works over data or Wi-Fi and you can even take vSelfies within the app. Well, no social network is complete without them. Chris Milk's app is still one of the best ways to get a slice of cinematic virtual reality. The ever growing library includes short movies, documentaries, animation and comedy from the likes of The New York Times, National Geographic, Vice and Saturday Night Live. Grab a pair of headphones to complete the fully immersive experience. YouTube is fighting it out with Facebook 360 to dominate 360-degree video (and it's winning) but there's also categories to indicate true VR experiences. From VR music videos to virtual tours of random offices you'll probably never step foot in to animated shorts, you'll probably lose just as many hours watching 360 videos as you do watching YouTube normally. If you want a dose of news and documentaries, NYT VR is your app. There are major new experiences uploaded very regularly now, and smaller 360 videos uploaded daily. It's available for both iPhone and Android. A lot of poetry can have a natural, hypnotic rhythm, but that's hard to get that across to someone in a non-auditory format. War of Words, a short VR experience pulled from BBC's War of the Words: Soldier-Poets of Somme, manages to translate the poem into a thrilling experience. It features an immersive and thrilling version of The Kiss, a poem written by Siegfried Sassoon before World War I's Battle of Somme in 1916. Plus, it's narrated by Michael Sheen. Fulldive is a virtual reality platform that allows you to browse and view 3D and 360 photos and videos, as well as browse the internet. There's quite a lot you can do including taking your own VR photos, stream 360 YouTube videos. Support for streaming your computer screen in VR is on its way. Google has produced some solid VR and 360-degree content, and this is another we think is worth checking out. You can explore artwork, artifacts and more from over 850 museums, archives, and organizations worldwide that have partnered with Google Cultural Institute to bring their collections and stories online. There are even options to zoom in for a closer look and factual tidbits if you want to learn more. If you love Star Wars, and especially The Force Awakens, the Cardboard experience from a galaxy far, far away is for you. It puts you in the role of a Resistance secret agent on Jakku, the desert world featured in the 2015 film. You can feel the VR force on your iPhone or Android phone. Google doesn't just want you to consume VR experiences with Cardboard, it wants you to create them. The Cardboard camera lets you take 360-degree, virtual reality photos and view them through Cardboard. To take a suitable pic, download the app to your phone, open up the camera, point ahead of you and slowly twirl around. The app will do the rest, stitching together images and capturing audio. It even works with Google Street View VR so you can add 3D locations to your favorite locations as well. Google has updated its Street View app for iOS and Android and - okay, okay - it's not strictly VR, but it is 360-degree images from around the world that you can look around. Virtual tourism, here you come. Just tap the Cardboard icon anywhere that Pegman can access. You ever just wanted to chill out and relax, looking out at serene water and a peaceful night sky, with only the beautiful glow of lanterns dotting your view? Well, you can do just that with Lanterns for Google Cardboard. A nice, peaceful, serene VR experience. Oceans have been done plenty of times in VR. But caves? Not so much. VR Cave takes care of that and, while it's little short, you still get to dive into spelunking without the dirt and claustrophobia. It's also a very detailed exploration of a cave that will have you wishing it won't end. Just don't watch the horror movie The Descent before playing. Minos is a first-person space shooter best enjoyed while sat in a swivel chair (but standing is fine too). You'll be blasting other ships as your enemies become progressively more difficult, but be sure to take in the impressive visuals too. This is a decent demonstration of how good VR can be even on cheap headsets like Cardboard. Need a VR version of mobile hit Crossy Road? Then VR Street Jump is the title you're looking for. The basic mechanics of the game lend themselves well to virtual reality, as you hop across a sequence of roads and try to avoid getting splattered. If you've ever played Frogger, you'll know what to expect. A favorite of Cardboard users, Hidden Temple takes a point-and-click type puzzle adventure and brings it to mobile VR. It's all controlled by your gaze (i.e. turning your head) as you look carefully for items in an ancient temple. Plus, the graphics are damn good for a Cardboard VR game. Wizard Academy is a bunch of action and learning games that launches you into a magical land where you can navigate around a village to discover the various educational and ridiculously fun challenges. A 'controller' is needed for VR which can be bought here, however in true Cardboard fashion, you can make one yourself by downloading a free kit. A sequel to the very fun InMind, InMind VR 2 will put turn you into John, a teenager becoming an adult. You'll go behind the chemistry that helps shapes the human brain, and all the little things that help create a person's destiny. No pressure. What are you downloading, watching and playing on your Cardboard and mobile VR headsets? Let us know below. An afternoon of experiments with my VR Box (cheap plastic) and my huawei Y9. All I need is the split screen, to play a basic video so it looks big in the headset... no VR, no 3d, no movement, nothing, just play a video, anyone knows if this exist ? Found out that Kodi had a split screen mode, but it doesn't work either.